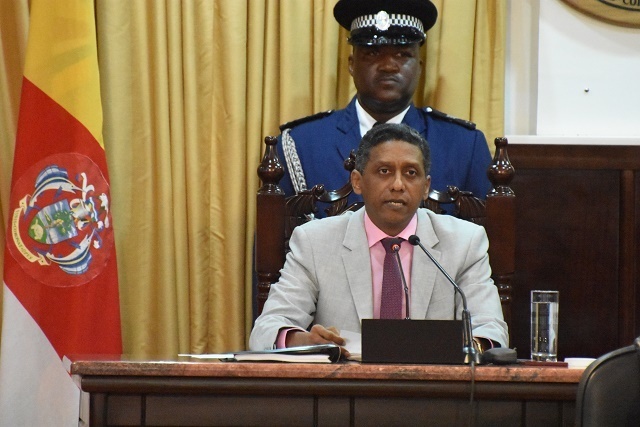 (Seychelles News Agency) - A moratorium to control the production and promotion of alcohol and a development project for a specialised hospital are some of the measures that will be implemented this year, Seychelles’ President Danny Faure said in his State of the Nation address on Tuesday. “We will impose a moratorium as of today on new licenses for alcohol production. There are too many promotions and advertisements on alcohol,” said Faure. As of January 1, 2020, shops selling alcohol will be separated from those selling food; owners have a year to take the necessary measures. Faure also said drug abuse is affecting society. The president also talked about measures being undertaken for poverty alleviation and these will include the introduction of a prepaid meter by the Public Utilities Corporation (PUC) by July to better facilitate the financial help provided towards energy consumption. For families whose houses have been classified as being in dire condition, Faure said the government’s commitment of SCR 20 million in the 2019 budget which will go towards house repair. Faure said the island nation’s health system is good but needs to improve in the issue of prevention. Along that line, he announced that soon a project for the development of a specialised hospital will be launched. “The project will be done with the help of the Indian government for the introduction of specialised services that Seychellois currently have to do abroad,” said Faure. Faure talked about the competitive environment that the national carrier Air Seychelles is currently facing and the need for the government to provide support. The Leaders in the National Assembly will give their reply to the State of the Nation address on Monday, March 4.